I had never heard of the The JM’Arts gallery at 36, rue Quincampoix 75004 Paris, walking past I was loured in by the glittering icons in Barbara Prézeau’s painting in the front window. This exhibition featured to female artists of west Caribean origins, Prézeau from Haiti, and Inés Tolentino from the Domincan Republic. 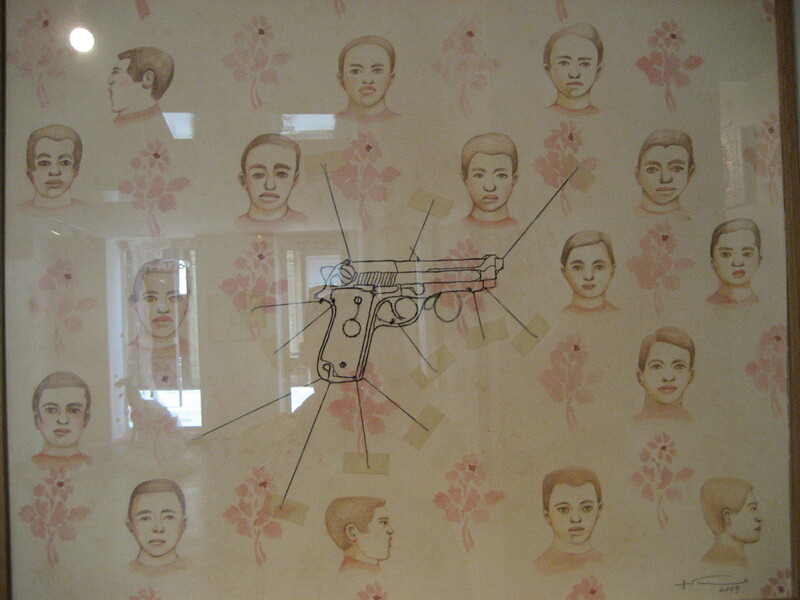 In an adherently feminist method, both artists use embroidery in their works. Prézeau creates complex alters to the Virgin Mary. 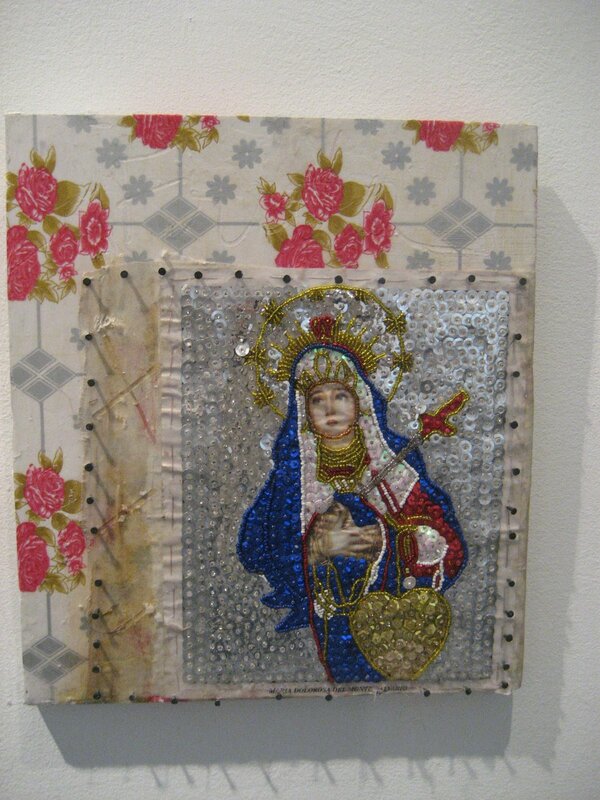 Her use of mashup mixed media, found objects, refuse, cans and scraps, glitter and sequins make a very strong yet intimate shrines to her as titled “Godess Icon”. 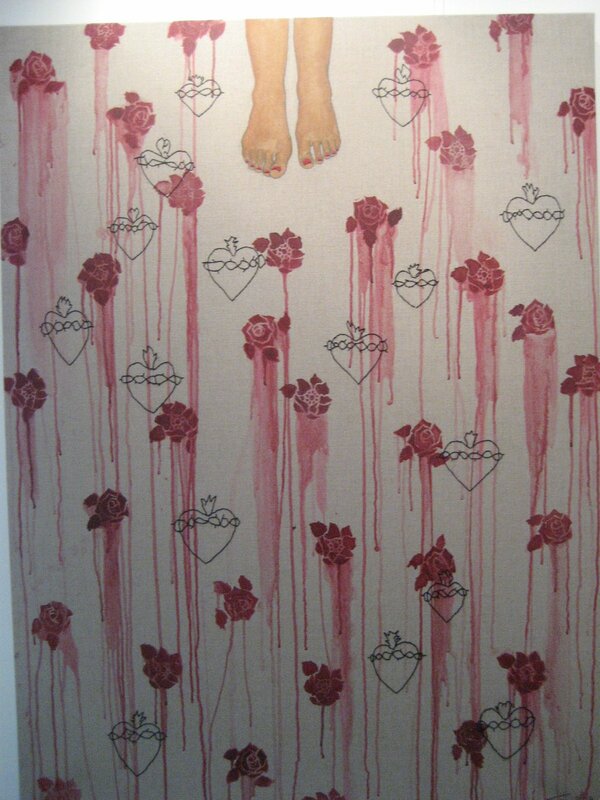 Inés Tolentino refrences love, heartache, and the subtext religious notion of devotion in her embroidered paintings. 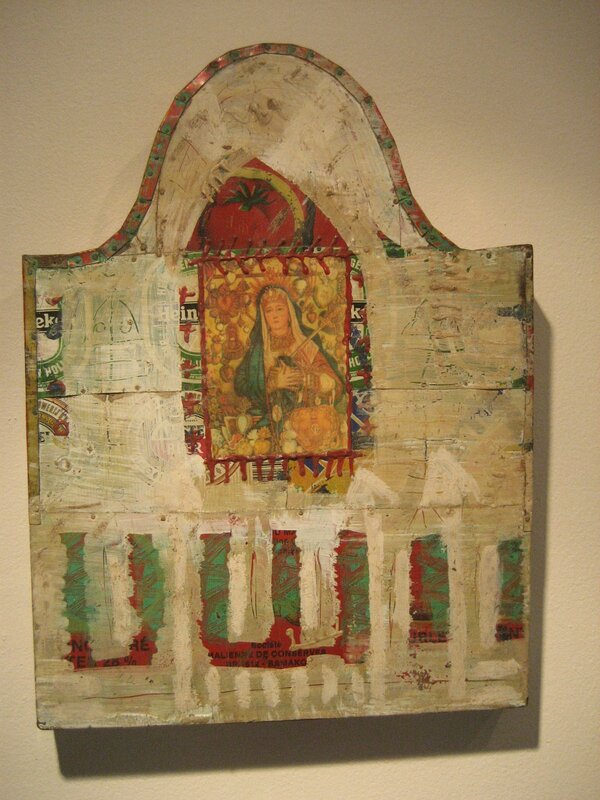 Use of the stitching, print work, and the bleeding paint is humours and touching. The embroidered gun is remarkable handwork! !